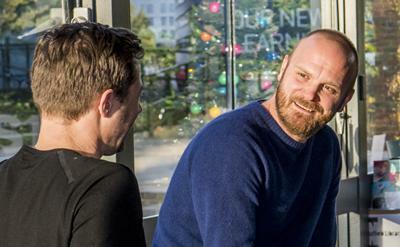 Will Champion, drummer of Coldplay, spoke to Music students. 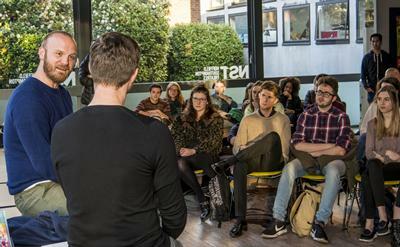 The drummer in one of the world’s most famous bands met Music students at the University of Southampton to talk about his rise to fame and his experience of the music industry. Coldplay’s Will Champion chatted to an audience of Music students and staff about what influences the band’s music, creative process and enduring success. Coldplay formed in the mid-90s, achieving global fame in 2000 with their debut album Parachutes. Since then they have won countless awards, including seven Grammys, and sold 72 million albums worldwide, making them one of the world’s best-selling music acts. Invited to speak by Music staff at the University, Will spent an hour sharing his thoughts and answering questions on topics such as composing, studio recording, live performance and managing stardom. Will has a strong connection with Southampton – he grew up in the city, went to Cantell School, and both his parents worked at the University as academics. When he was 14, he did work experience at the Nuffield theatre (Nuffield Southampton Theatres), in the box office and backstage. Will spoke about his career, creative process and performance. Will’s visit was part of the VIP Guest Talk series staged for Music students at the University. These also featured the rock group Band of Skulls and the Mercury Prize-nominated Portico Quartet. Coldplay generously donated to the University of Southampton’s campaign for the Centre for Cancer Immunology in July 2017. 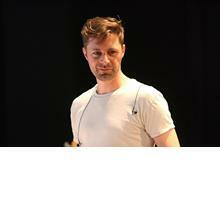 Dan Mar-Molinero is a Senior Teaching Fellow and Head of Jazz and Pop.